The current state of retail can be described in one word: competitive. More brands moving their businesses online, paired with the rising cost of customer acquisition, makes the online landscape a make-or-break environment for both budding and established brands. 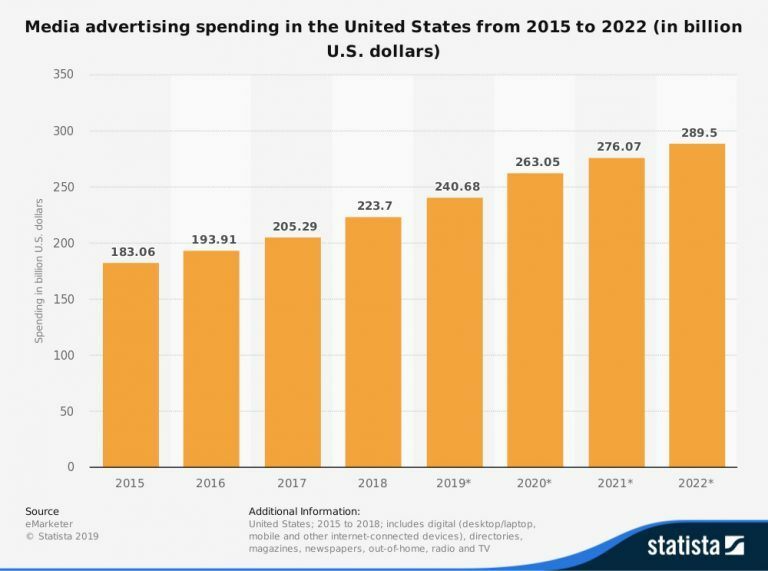 This chart from Statista shows the increased digital advertising spending from 2010 – 2021 (2019-2021 being projections) in millions of U.S. dollars. Because of this, brands are now required to build strong digital experiences for their customers, outside of the general scope of traditional marketing and advertising. Technology capabilities need to assist brands and bolster that strength. On a global scale, diverse businesses can only benefit so much from a monolithic, all-in-one solution when it comes to creating flexibility in their brand presence. While a simple, functional model is often a reputable starting point, it’s not suited for brands that are interested in rising above the competition. Every business has unique needs — a fashion brand has a different marketing strategy, back-end business requirements, and logistical structure, compared to a furniture retailer or a B2B software seller. All of these brands have one thing in common — they need to provide a good customer experience. But in order to truly outsmart their competition and delight their customers, they need to create captivating, content-first experiences that make customers happy enough to spread the word about their products. This is where headless commerce really comes in handy. By ripping-and-replacing the front- and back-end of an eCommerce experience, brands now have the ability to produce tailored storefronts. Simply listing your items online in a storefront is no longer going to cut it. Customers are searching for an experience wherever they shop, whether it’s online or offline. Take retail for example: more and more stores are hosting events or pop-ups to help activate their shoppers. Popular direct to consumer (D2C) brands like Everlane, WONE, Outdoor Voices, and LARQ all have one thing in common: their product is only a fraction of their message. The Everlane brand prides itself on sustainability. With peeks into their factories, a focus on cost transparency, and a pledge to remove plastic from their shipping packaging, Everlane makes a compelling case for plenty of like-minded shoppers to seek out their products. 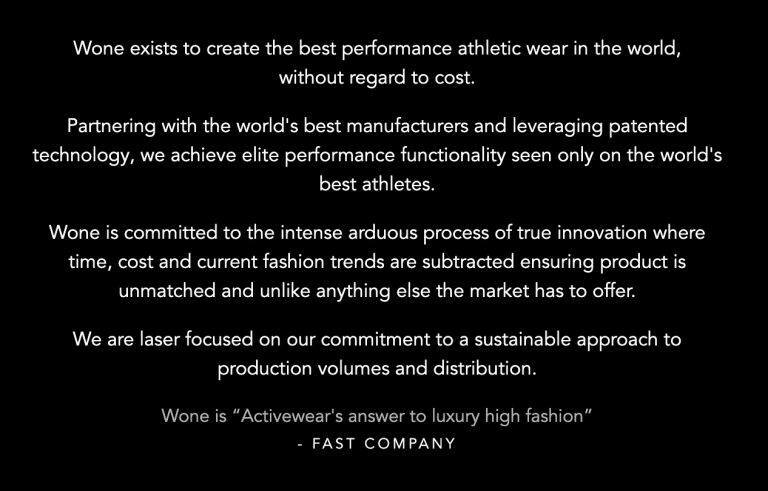 Luxury legging manufacturer WONE creates exclusive, limited-edition “drops” of different products, only available for those with an access code. 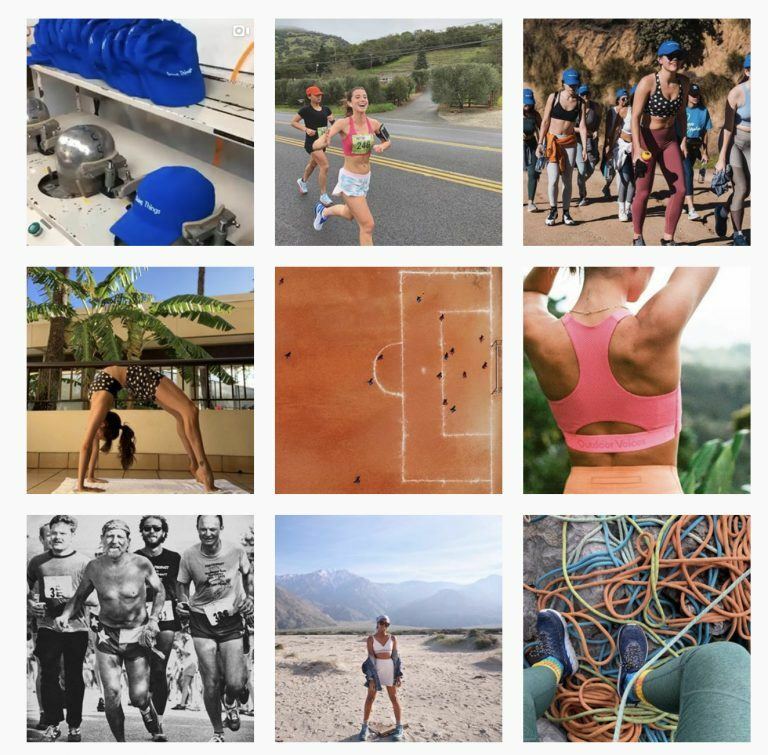 Athletic wear company Outdoor Voices’ Instagram feed looks less like a clothing brand and more like a travel guide — and that’s intentional. By building their brand message around the things you can do in the clothes, rather than the clothes themselves, the brand is capitalizing on the experience-led lifestyles that many young shoppers love. Touted as the world’s first self-cleaning water bottle, LARQ’s sustainability-driven small line of products are beautifully designed and marketed. Headless commerce is the key needed to unlock hyper-specialized content for innovative brands. They don’t need to start from scratch to build a shoppable experience — instead, they can plug a shopping cart directly into what they’ve already become familiar with and built a brand off of. Pair this with flexibility: instead of being locked into the themes and design limitations of an eCommerce platform, simply add shopping cart functionality to what already exists. Last year, BigCommerce announced the BigCommerce for WordPress plugin that connects the WordPress CMS with the powerful eCommerce backend from BigCommerce. Using this plugin, WordPress users can add a commerce experience into their WordPress site, allowing them to sell items and drive revenue off of the existing content they’ve already built out. At Surf Ranch, surfers can ride actual waves and test different types of boards. The team at Firewire Surfboards knew that they wanted to add an online shopping experience that mimicked the thrilling and fun experience that shoppers got at Surf Ranch. They chose to use WordPress as their CMS and BigCommerce as their eCommerce platform. 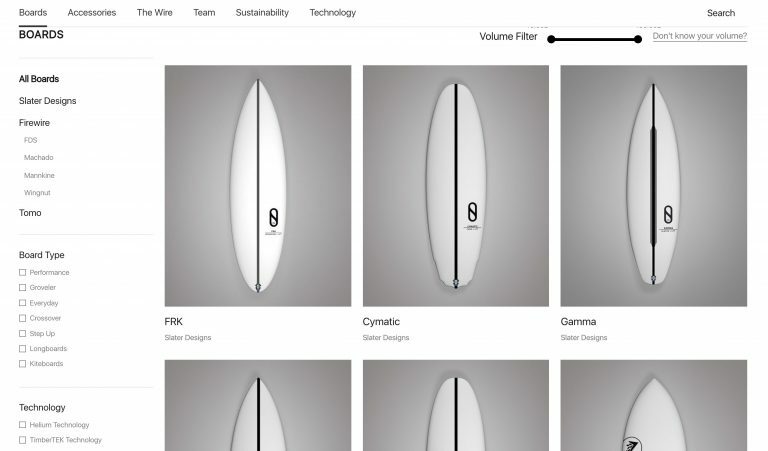 This set-up allowed the Firewire team to plug an eCommerce experience into a WordPress environment where their existing experience and understanding of the surfing buyer’s journey could capitalize on sales and brand loyalty. What’s next in Headless Commerce? With a recent announcement BigCommerce has taken it a step further — announcing headless commerce integrations with several of the most popular CMS platforms outside of WordPress: BloomReach, Sitecore, Adobe Experience Manager, Acquia ACF, and React + Gatsby. BigCommerce is tearing down the already-flexible walls of software-as-a-service (SaaS) eCommerce by allowing its functionality to be consumed outside of the platform walls, and inside the familiar structure of a CMS platform. BigCommerce has focused on delivering an enterprise-grade eCommerce platform outside the SaaS walls, accessible via API and GraphQL, and embeddable wherever it’s needed, regardless of vertical, geographic location, or size of business. 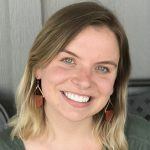 Corinne is a writer and researcher at BigCommerce, where she works directly with agency and technology partners to bring their tools, services, and ideas to the commerce industry at large with educational content. Deven Moore-Porter has over 15 years of consumer marketing experience. She specializes in digital marketing with a passion for email marketing. She truly enjoys finding ways to help consumers build connections with brands, products, and community by increasing engagement, conversions, and loyalty. Email marketing is one of the many ways to not only accomplish this, but to also build brand awareness. She has successfully executed numerous email marketing campaigns and has experience using multiple platforms such as Bronto, MailChimp, Hubspot and Springbot to name a few. We sat down with her to talk about how her team is approaching email marketing for EYStudios. Why is email marketing so important to a merchant’s business? This platform allows you to speak directly to your consumers by connecting with them, allowing you to share knowledge, promote a sale, or simply just say “thank you for being a customer.” What do consumers want? To feel connected, build trusting relationships, and be given good customer service. If executed properly it rewards you with valuable brand loyalty. What are some best practices when it comes to email marketing? Personalized Emails – Segmenting and building marketing campaigns which are based on each individual’s behavior. To the Point – Keep your content short and direct, while providing why we as consumers should invest in your brand. Building an Experience – Find visually creative ways to tell a story to keep your consumer engaged. What are some things that a merchant should keep in mind when they are getting into email marketing? Quality over Quantity – Your goal as a merchant should be finding your loyal customers, not collecting a long list of emails. Finding that targeted audience and messaging takes time. Not every email needs to convert – Yes, I know that is hard to hear as a merchant but remember your main goal using this platform should be to connect with your consumers by building trust. In the long run, if you treat them right they will remember you and when they are in need of something you specialize in, you want to be the first resource they think of. Be thankful – Always give thanks to your consumers and remember they are what is keeping your lights on. Every day there is a new company opening their doors and another closing. Stay in the moment by being humble and taking the time to thank your customers by rewarding them with a discount, remembering their birthday, or reminding them that you care. Why should a merchant trust EYStudios with email marketing? EYStudios has a dedicated team of talented and experienced individuals who truly care about the success of their clients. They take the time to look at each campaign through the end users’ eyes. EYStudios invests in their customers by taking the time to not only get to know them, but also helping build their brand with a holistic strategic approach. Building a holistic Digital Marketing plan with each client’s company goals at the forefront, and continuously watching the consumers behaviors, allows us to make timely and effective changes to best optimize the consumer’s interaction. How does EYStudios help the merchant create a competitive advantage by utilizing email marketing? For more information about Email Marketing and EYStudios, call us at 678-402-6378 or email info@eystudios.com. Julie Kirkland is the team leader, heading up the social media marketing program for EYStudios. She is a graduate of Clemson University and an experienced digital marketing specialist. With over a decade in the industry, Julie has extensive experience in all aspects of digital marketing. From managing website development projects, analytics tracking, program analysis and more – she has in depth experience doing it all! And this combined experience gives her a huge advantage over the competition. It allows her to see the bigger picture and expertly execute a coordinated, targeted social media marketing program. Julie has developed and managed a plethora of social media marketing campaigns over the years. From nationally recognized brands to small local businesses – she has successfully run service industry, eCommerce, and lead generation campaigns across all the major social media platforms. She has also previously worked with multiple marketing agencies to develop social media marketing programs as new service offerings. Social media marketing is a form of digital marketing using social media platforms and networks to market a company’s products and services. There are two primary categories: organic vs. paid. Organic social media marketing refers to the process of using the free tools on various social media sites to promote your products and services. Creating a business page (or profile), building a social community, and writing or commenting on posts are all great ways to organically market your business on social media. Commonly referred to as paid social (or social advertising), this is the process of paying a social media platform to display advertisements to their users. Prices vary across social platforms and are determined by several factors such as: ad formats, targeting methods, and competition. Tell us about Retargeting and why merchants should be interested in it. Retargeting (also known as remarketing) is a popular sub-set of paid social advertising. It is a form of digital advertising that works best in conjunction with other digital marketing programs such as pay-per-click (PPC), search engine optimization (SEO), etc. It is a cost-effective way to enhance marketing campaigns by targeting potential customers that are already familiar with your brand. Retargeting campaigns focus on recapturing a potential customer’s attention, leading them back to the website/business, and getting a second chance at converting them (getting them to complete a specific goal, such as filling out a contact form). Retargeting uses cookie-based technology. By placing a ‘hidden’ script on the back-side of a website (in the source code), it allows us to attach a tracking ‘cookie’ to users who visit your website. This ‘cookie’ then allows us to ‘follow’ these users to social media platforms over a set period of time. We can then reach back out to these users, serving up ads to basically ‘touch’ them again and remind them about your business. What is the most popular Social Media Marketing platform and why? Why trust EYStudios to be your Social Media Marketing partner? The team behind EYStudios social media marketing program has extensive experience building successful social media marketing strategies for a variety of businesses across service and eCommerce industries. What makes EYStudios Social Media Marketing program stand out from the crowd? EYStudios believes that every business is unique and deserves its own unique social media marketing strategy. Each component of the strategy is selected to specifically meet your marketing needs. The EYStudios team uses tools, such as Facebook’s extensive knowledge-graph, to create highly targeted ads. Targeted content served to specific audiences allows EYStudios to keep advertising spend down and conversion rates up. Plus, your social media marketing campaigns will be routinely monitored by a human. EYStudios believes in a hands-on approach and not relying solely on an algorithm. The team will continually analyze and optimize campaigns throughout the month, making regular adjustments with the goal of driving a better return on investment. For more information about Social Media Marketing and EYStudios, call us at 678-402-6378 or email info@eystudios.com. Scott Galvin is an industry vet with 20+ years of experience in digital marketing. He is well known in the industry for his knowledge, experience and history of success. Prior to joining EY, Scott served as President & CEO of Big Squid Interactive for 7 years and prior to that role, served as the Director of Search Engine Marketing (SEM) for both 360i.com and Moxie Interactive. Scott has personally managed SEM for several well-known companies such as Verizon Wireless, Puma, Cartier, 20th Century Fox, Iron Mountain and many more. He has successfully managed SEM campaigns for dozens of multinational brands, and he strives to help companies build strategies wherein search is integral, not an afterthought. We sat down with Scott to pick his brain on all things PPC and learn more about the approach he is taking with the team at EYStudios to benefit the merchants we work with. Why is Pay Per Click Marketing so important to a merchant’s business? What’s the latest with PPC in the eCommerce industry and what should merchants be focusing on/planning for as it pertains to their PPC strategy? Google Adwords remains by far the #1 focus of all ecommerce websites; however, Amazon Sponsored Product Ads pose a potentially serious challenge to Google, with advertisers shifting budget toward Amazon because more people now begin their search for products on Amazon than Google. What are realistic expectations that a merchant should have when investing in PPC? 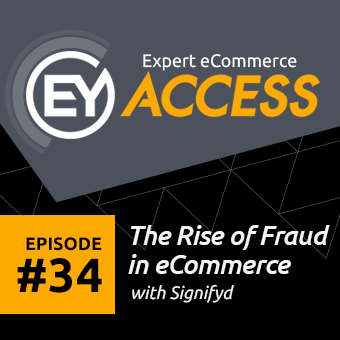 How does EYStudios help to meet/exceed merchant expectations? Results can vary based on a number of things i.e., advertising budget, user experience, product pricing, industry demand etc. Because of our years of experience managing hundreds of PPC Campaigns and ability to deeply analyze both current and historical data. A typical EY client can expect a 10 to 25% increase in conversions (sales, leads) and a 15 to 30% reduction in cost per acquisition. Why should a merchant trust EYStudios with their PPC? Experience, reputation and results. 90%+ Clients have seen noticeable and significant increase in sales, revenue and ROI compared to other agencies or in-house management. What type of retargeting does EYStudios provide as part of the PPC services and how does this benefit the merchant? 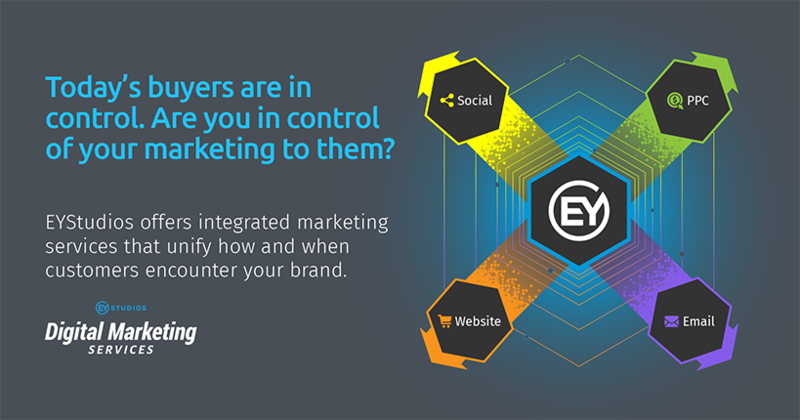 EY uses Google Retargeting/Remarketing advertising which reaches 92% of all internet users. In order for it to be effective, a website must acquire or possess a large audience list of 5,000+ for ads to start serving consistently. How does EYStudios analyze and optimize PPC campaigns in order to achieve the goals and business objectives of the merchant? While most agencies focus only on keywords, ad copy and cost per click, EY consistently reviews and analyzes all sources of traffic from PPC Campaigns. We specifically focus on device bids, including desktop PC, mobile and tablet device users and how they convert. We also focus on which days and time of day performs best. Other areas of focus include location and audience targeting to ensure the most relevant and best converting traffic is being sent to the clients website thereby resulting in a higher conversion rate and improved ROI. How does EYStudios help the merchant create a competitive advantage by utilizing PPC Marketing? Experience and dedication. Our PPC experts NEVER “set it and forget it”. We constantly monitor the campaigns on a daily basis and continually make adjustments and improvements based on analyzing the search data. Elaborate on how EYStudios customizes the strategy of the PPC services to the individual needs of the merchant? Every business is different and while most basic PPC strategies apply to most clients, there are always unique differences within every campaign. At EY, we believe in learning and understanding our clients business in order to be more successful in marketing their products. The better we understand our clients challenges, the better we can manage and promote their products or services. We ask questions like “What are your highest and lowest margin items?” “How are you different from your top competitors and how can we use that to improve conversions/sales?”. We are able to meet the individual needs of every merchant by understanding our clients and embedding ourselves as part of their team vs. using a disconnected 3rd party. For more information about PPC Marketing and EYStudios, call us at 678-402-6378 or email info@eystudios.com. EYStudios offers a trio of Digital Marketing services designed to strengthen your brand and help drive more sales: Social Media Marketing, Email Marketing, and Pay-Per-Click Marketing. Many companies are unknowingly sabotaging their efforts by having a disconnected approach to their brand. If the messaging across all of your marketing efforts and your website is not consistent, you are losing money. This can happen very easily when you start to piecemeal these elements together. Rather than having to work with multiple, disconnected companies, or trying to manage everything yourself, save your time and money, and trust EYStudios to get you results the results you are looking for! When done correctly, Email Marketing is one of the most profitable investments for merchants. Enlisting the help of EYStudios’ expert campaign strategists will help you reach and grow your entire list of customers! Our team creates and distributes emails on your behalf, as well as monitor, track, and report on campaign performance. Additionally, EYStudios provides the ability to help you segment your customers and optimize your email marketing campaigns. This ensures you are consistently engaging with the right prospects to ensure your company is top of mind when they’re ready to make a purchase! Learn more about this service and our approach in this interview with Deven Moore-Porter, who heads up our Email Marketing. Get ahead of your competition… literally… by letting EYStudios manage every aspect of your PPC Campaign to help you get seen at the top of Google listings. This includes tracking performance, optimizing campaigns to ensure your campaigns are performing at full capacity, and providing monthly reporting to show you actual results from your PPC Campaign. Additionally, EYStudios will provide you with a dedicated Digital Account Manager to assist with all of this and ensure that we are meeting your goals! Learn more about this service and our approach in this interview with Scott Galvin, who heads up our PPC Marketing. EYStudios provides the ability to manage all of your social media marketing needs, whether it’s routine posts or targeted ad campaigns. We’ll create the content, as well as manage, track and report on the performance of the campaign. Your Digital Account Manager will provide strategy, analysis, reporting to ensure your campaign is consistently meeting and exceeding your expectations! Learn more about this service and our approach in this interview with Julie Kirkland, who heads up our Social Media Marketing. It Takes 7 to 13+ Touches To Deliver a Qualified Sales Lead. (Source: DMA). It’s not enough to just have a great website that converts if you don’t have the adequate traffic to help meet your goals. With EYStudios Digital Marketing Services we can help get your brand in front of the right people to drive results! For more information about these services and EYStudios, call us at 678-402-6378 or email us at info@eystudios.com. EYStudios Makes Clutch 1000 List! When it comes to online marketing, our team at EYStudios knows how to develop innovative digital strategies and create products to help our clients make a name for themselves. 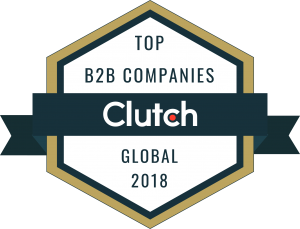 We’ve always been proud of the services we offer, and we’re excited to share that we’re now featured on Clutch, a B2B ratings and reviews platform. 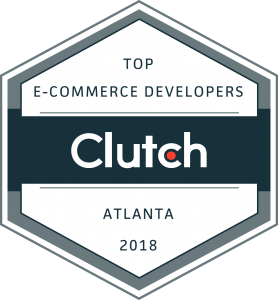 Not only did we make Clutch’s list of the best eCommerce developers in Atlanta, but they also recognized EYStudios as one of the top 1000 B2B service providers for 2018! Part of what makes Clutch unique is the verified client reviews they conduct. Clutch analysts spoke directly with our clients to see what it is truly like to partner with the EYStudios team. Without this feedback, we wouldn’t have been honored with the top 1000 award, so we have our clients to thank! Here’s a glimpse at what they had to say: “Their level of customer service sets them apart from their competition. “Their team is very responsive, responding to all of our questions, comments, or requests as quickly as possible.” “I appreciated that they were honest in their business practices and genuinely cared about the customer.” “From the bright color schemes to the user-friendly navigation, all of EYStudios’ designs are crafted with our customers’ unique needs in mind.” These kind sentiments also played a role in our feature on Clutch’s sister website, The Manifest, as a leader too. The Manifest is a business news and how-to site that lists EYStudios as a top digital design agency in Atlanta. We’re excited to be included in their research as well, highlighting another area of our expertise. It’s been a great year at EYStudios! It never gets old to be recognized for your hard work and we are so thankful. Our team is looking forward to topping all Clutch lists again in 2019. Check out our listing on Clutch! For more information about the services we offer and how we can help your store, call us at 678-402-6378 or email us at info@eystudios.com.